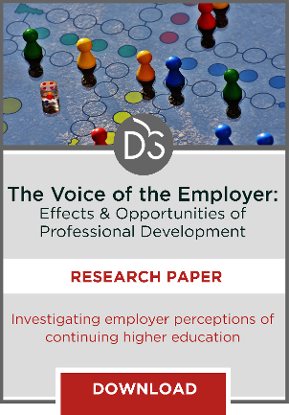 Leading organizations are looking at employee development as their company’s differentiator, which means higher education institutions have an opportunity to capture a massive and lucrative market — provided they play their cards right. Whether you’re looking at examples of private sector-academic partnerships — such as Starbucks’ recent collaboration with Arizona State University to support its College Achievement Program, or Walmart’s long-standing alliance with American Public University to support its Lifelong Learning Program — the people-investment clock is not only ticking, but the face of it is changing. ii. Are tied to both individual and organizational success and sustainability. 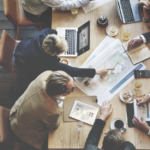 Here are some key considerations for effectively tying ROP with ROI and the bottom line to show the value of investing in the educational development of talent and resulting creation of innovative and sustainable workplace cultures. Have you ever seen someone who spoke a foreign language and was seeking help from a country’s native? Did you also happen to notice a comical exchange where the native speaker responded in a very loud voice – erroneously assuming if he or she spoke loudly enough, it somehow would transcend the language barrier? Well, that doesn’t actually work in real life. In real life, C-Suite needs to see the data and metrics tied to both results and broader organizational strategies. 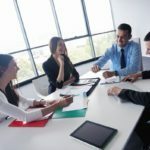 HR professionals must clearly demonstrate how the investment in the educational, leadership and other employee development initiatives will build a better, stronger, longer-lasting organization. Connect the dots for your audience. Don’t make your audience learn your language. Understand their pain points. Use their forms of storytelling and graphical representations, their terminology, their vision, strategy and objectives and their priorities as the basis to weave and deliver your integrated message and strategies. 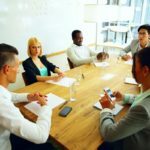 You’ll not only get their attention, but also create more fertile ground for engagement, participation and buy-in by senior leadership and other key stakeholders. 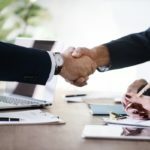 This is the first of a two-part series by Michelle Maldonado exploring the connection between ROI and ROP for the purposes of developing long-term partnerships between higher education institutions and corporations. Click here to read the conclusion, outlining Maldonado’s final three points. It’s interesting to move from a focus on ROI to ROP. Investments in people will always bring about not only bottom-line results, but intangible things such as morale, personal responsibility, etc. Maldonado makes a valid point that we need to expand our KPIs to capture some of these outcomes so we can start to track the benefit to employers. My guess is that once this is done, there will be more support at the executive level of companies for educational investments. I agree with the commenter above. The resource posted on assessing an organization’s ROP quotient is also useful. Good piece overall on this relatively new concept.